R.I.P. C.E.M: Our V-P was real V.I.P. 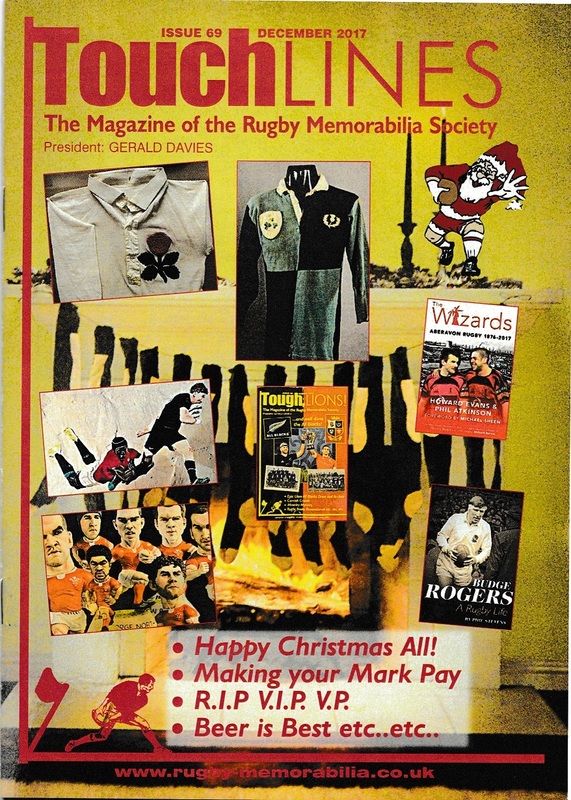 Phil Stallard concludes his rugby-watching wanderings of last season..
All RMS members will receive a copy of this magazine at no extra charge (This is included in your annual subscription). With this issue of Touchlines all members will receive the New ‘Members Directory’. Once again we would like to thank our members who contributed articles, and to our Touchlines Editor ‘Phil Atkinson’ in putting together this publication.